Memorial Hospital and Manor announces receipt of grant funding from the Georgia Partnership for Telehealth to operate an additional rural school-based telehealth program at Potter Street Elementary School. The grant award begins for the current school year. Provide primary medical care and behavioral health services at each site. Offer health services in the school building or on campus in a space that is adequate for service provision and that ensures confidentiality. Utilize outreach activities to enroll students and encourage use of the school-based telehealth center(s) throughout the school year. Integrate health promotion efforts with the school community served by the school-based telehealth center(s). Maintain a Community Advisory Council (CAC) which has clearly-defined roles in guiding sustainability efforts, monitoring quality improvement, and lending expertise in helping to promote the school-based health center(s) to the broader community. Target services to student populations with documented needs such as low-income status, lack of access to primary care, uninsured or underinsured, and/or evidence of poor health status. Link with community resources for services not provided onsite. The health center at Potter Street along with the current centers at Jones Wheat and West Bainbridge will have access to the primary care provider via telehealth links, or direct phone access to our pediatric clinic and emergency department staff. Where appropriate, our medical provider may attend to a medical situation in person at the health center when a telehealth interface is inadequate to provide an ideal assessment. If communication is required for outside consultants and providers, that will occur through established HIPAA compliant channels and established EHR links with authorized partners. “This is great news that we are excited to share with the community. We are very fortunate as a community to now have three school-based telehealth centers. We continue to look forward to working with the Decatur County Board of Education to provide additional care for the children of Decatur County,” said Billy Walker, CEO of Memorial Hospital and Manor. “We have only begun to scratch the surface of the planned services we will be able to offer through our telehealth network,” cited Dr. Winston Price, Chair of Pediatrics and Medical Coordinator for the Decatur County Telehealth Project. 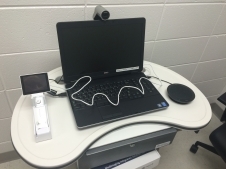 A student from West Bainbridge Elementary became the first student to experience the benefits of Decatur County’s Telehealth school based clinic. This type of 21st century health care interaction allowed the student’s mom to minimize the extra travel it would have taken to pick her child up from school and then carry her to Memorial Pediatrics to be seen. It also allowed the student to remain in school and attend classes during the time leading up to her medical telehealth visit which meant that obtaining healthcare did not interrupt her education. 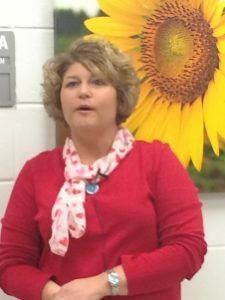 After receiving permission from the parent, School Nurse Becky Loyd, RN, was able to arrange the emergency telehealth visit on short notice. She was then able to transmit electronically the patient’s enrollment packet to Memorial Pediatrics via a secure e-mail interface. 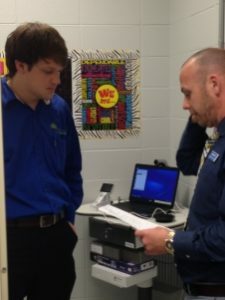 After reviewing the student’s medical history, Dr. Winston Price from Memorial Pediatrics was able to connect with the School Nurse via the secure telehealth interface to view the physical problem in real time while Nurse Loyd manipulated the transmitting equipment on her end. The superior technology and training, provided by the Georgia Partnership for Telehealth to the Decatur County Telehealth team as part of this grant, allowed for a crystal clear view and a remarkable televideo connection to chat with the patient and mother during the telehealth visit. Due to having a collaborating partnership with Bainbridge Pharmacy, the family had the choice of having the medicine delivered to the school as opposed to going to the pharmacy to pick up the student’s medication. On Friday, February 6, 2015, the School Nurses from the Decatur County Board of Education Schools received training for the telehealth equipment. The training was conducted by Loren Nix from the Georgia Partnership for Telehealth. The session was very informative, and covered all of the basic instructions on how to operate the equipment. School Nurses from all of the Decatur County Schools participated in the training session. 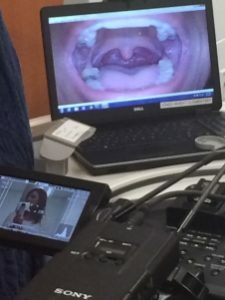 The equipment includes a laptop work station, web cam, Horus Scope (for monitoring and viewing eyes, ears, nose, and throat), and blue tooth enabled Stethoscope. Training will be held next week at Memorial Pediatrics and Amelia Medical Plaza. This is the next step in the process of opening the telehealth based school clinics at Jones Wheat and West Bainbridge Elementary Schools. 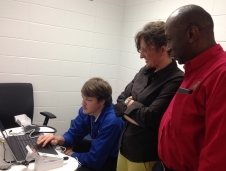 The enrolment sessions for the Decatur County Telehealth program have been established. Parents interested in enrolling their child or children for the Telehealth program should attend one of the sessions. Staff will be available to assist with the Telehealth enrollment packets as well as answer any questions. Parents can attend any of the sessions regardless of the school their child may attend. These enrollment sessions will bring us one step closer to opening the doors to being Telehealth student visits. 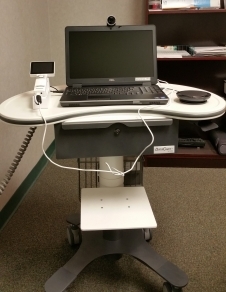 Computer specialists began installing the necessary equipment for the Decatur County Telehealth program on Friday, January 23, 2015. Equipment was installed at Jones Wheat Elementary, West Bainbridge Elementary, Amelia Medical Plaza, and at Memorial Pediatrics. This is the next step in the process for having the Telehealth program available at both schools. The core planning team for the Memorial Pediatrics-Bainbridge BOE (MPBB) School Based TeleHealth Clinic (SBTC) attended the 4th Annual Telehealth Clinic Summit hosted by the Georgia Partnership for Telehealth (GPT) in Tifton GA. Attending the meeting was April Aldridge, Assistant Superintendent; Becky Lloyd, RN School Nurse at WBE; Bonnie Provence, RN School Nurse at JWE; and Winston Price, MD Chair of Pediatrics for Memorial Hospital and Manor. The meeting was attended by the largest audience to date of the many SBTCs that are operating in the Southern GA schools. Presenters included leadership members of the GPT, SBTC specialist from Ware County, Coffee County and from the Berrien Elementary School system. Irene Munn representing the Lt. Governor’s Office also presented an overview of the state of Georgia Healthcare from a fiscal perspective. The Executive Director for the GPT also introduced the representatives from Zambia’s Telehealth Project, headed by Dr. Savior Chishimba to highlight the global outreach of the GPT and this growing healthcare delivery technology. The MPBB SBTC continuing to move forward in its planning process and will hold its first Community Advisory Committee (CAC) meeting on December 16th in Bainbridge. For more information please contact Dr. Winston Price at WinstonP@MH-M.org or April Aldridge at aaldridge@dcboe.com . Memorial Hospital and Manor announces receipt of grant funding from the Georgia Partnership for Telehealth to operate a rural school-based telehealth program at Jones Wheat and West Bainbridge Elementary Schools. 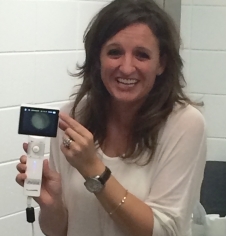 On September 16, 2014, The Georgia Partnership for Telehealth announced two awards to Memorial Hospital and Manor along with Memorial Pediatrics and the Decatur County School System for the periods 2014-2015 totaling $60,000 to establish school-based telehealth centers at Jones Wheat and West Bainbridge Elementary Schools in Bainbridge, Georgia. The health center in each school will have access to the primary care provider via telehealth links, or direct phone access to our pediatric clinic and emergency department staff. Where appropriate, our medical provider may attend to a medical situation in person at the health center when a telehealth interface is inadequate to provide an ideal assessment. If communication is required for outside consultants and providers, that will occur through established HIPAA compliant channels and established EHR links with authorized partners. Billy Walker, CEO and Winston Price, M.D., Pediatric Chair, both of Memorial Hospital and Manor are the primary sponsors of the SBTC grant working in direct collaboration with Dr. April Aldridge, Assistant Superintendent of Elementary Curriculum, Instruction, and Assessment from the Decatur County Board of Education. “The partnership between Memorial Pediatrics and the Decatur County School System fostered by the SBTC initiative will forge a lasting bridge toward improving health outcomes and providing greater access to care for populations at risk” says Dr. Price. “This is great news that we are excited to share with the community. This is another way that we can provide better access to health care for our community. We know that this partnership will be a success, and look forward to working with the Decatur County Board of Education to provide additional care for the children of Decatur County,” said Billy Walker, CEO of Memorial Hospital and Manor. Georgia Partnership for Telehealth has become one of the most robust, comprehensive networks in the nation. GPT’s experience in implementing Telemedicine includes nursing homes, school clinics, correctional facilities, specialty clinics, Emergency Departments, ICUs, TPA stroke assessments, child advocacy, education, primary and specialty care physician clinics. This statewide collaboration among policy makers, healthcare providers and patients has led to a tremendous rate of success. In January, 2013 GPT reported patient encounters increasing from 8 patient visits in 2006 to over 75,000 in 2012. GPT now has over 350 locations with over 200 specialists and healthcare providers, representing over 40 specialties participating in network. Providing access to healthcare via telemedicine has proven to cut costs on travel, work time and provides earlier access to care therefore preventing the large costs of untreated healthcare problems. 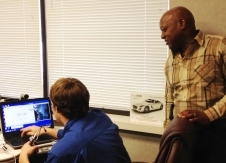 GPT’s services and support can provide a state of the art telehealth solutions for Georgians. (v) satisfies such other requirements as a State may establish for the operation of such a clinic.